Hi all, In our Steemit platform we see lot of Games coming day by day. But on choosing Which is best, from where we get good Earnings for knowing all those is very difficult. If you don't choose Correct Game, we loose all our hardwork hear. In my openion https://steem-bet.com/ is best choice. This game run on openly no cheating as occurred hear. On seeing betting and winning details we understand it very easily. Hear all most all players get good returns for their bet. Now they offering Dice game, for 1 Steem we get 50 SBT tokens using this we play the game. If we use SBD, based on that we get SBT. SBT means STEEM BET TOKENS, for playing games in this platform we need this. We can buy those using STEEM/ SBD. Soon they add Four games to it, then we get almost all games at one place and get full enjoyment. Current data, for holding SBT we again convert them to STEEM after they announceing. Make your own post and ask your friends to Resteem your post, for 10 Resteem we get 10,000SBT like that you earn. How much Resteems increase that much SBT you earn. Promote https://steem-bet.com/ in your Social media, after that share your screen shot in any post of @steem-bet. For each share we get 500SBT. It is good method to collect lot of SBT I think. 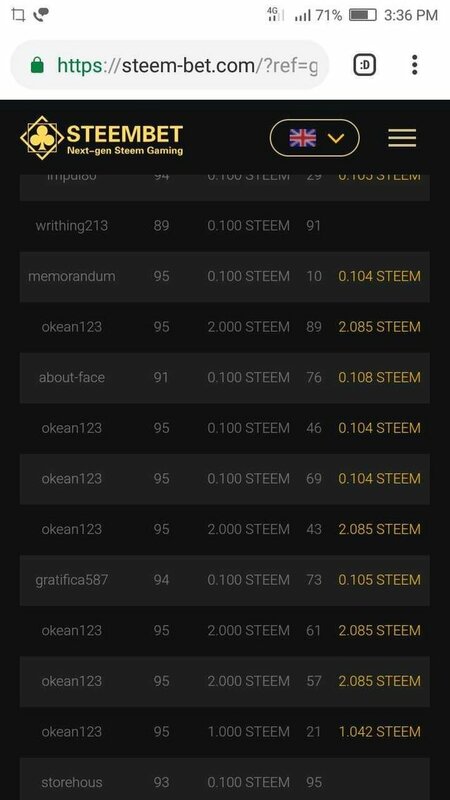 3.log in https://steem-bet.com/ then play the game. For playing we get some SBT also. For lig in we must need Desktop chrome browser and install Keychain Extensions. For giving 100% security they using this way. But not having Pcs only having Mobile users must wait for little time. They soon make Mobile Friendly system. On doing above Tasks we get SBT, later we convert to Steem. This Divided is good thing is @steem-bet platform, That's why I choose this game is good choice for Gamers. Thankyou very much for Reading my post but don't Forget to Resteem my post. WoW, i will check it..
Hi. We are SteemBet platform and welcome to invite you to join our first dice game for betting mllion steem bonus. In future, we have different kind of currency digital game in our platform. We will build up a wonderful blockchain gaming platform. it's excited to invite you to join our development. SteemBet is going to release white paper to everyone so that you understand our plan and mission.